2018 is the year where every holiday leading up to November is "baby's first" and yesterday Baby Oscar Julian got to enjoy one of my faves, his first Easter!! 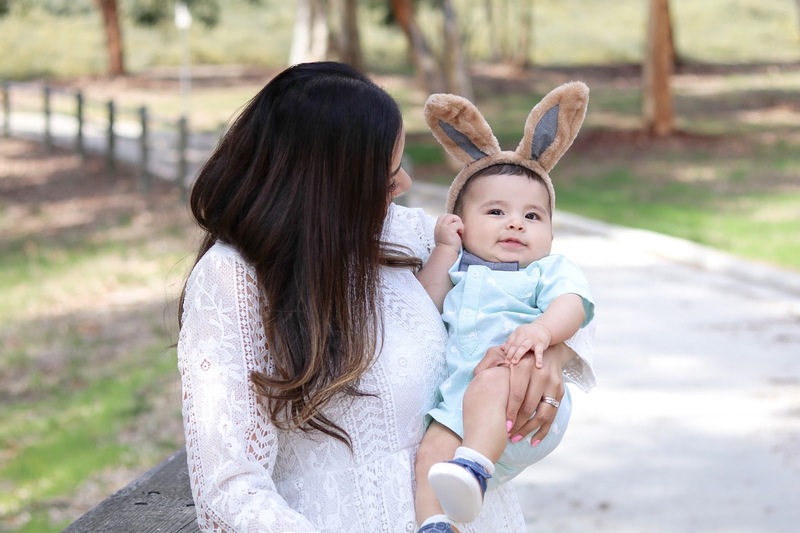 Poor guy will have to succumb to mommy's outfit selection and the obligatory bunny ears, but hey I hear I have to take advantage now when he can't tell me no! ha! 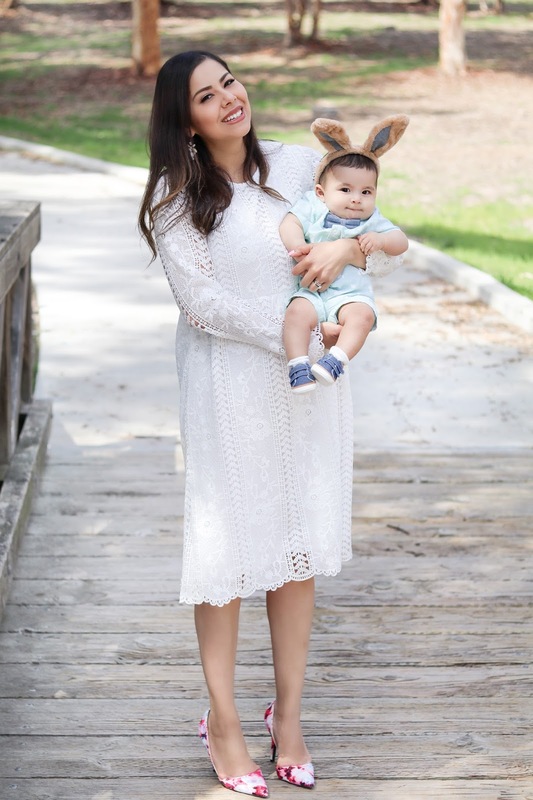 In true new mom fashion, I meant to get these pictures up on Easter morning BUT doing a photo shoot with a baby was no joke! 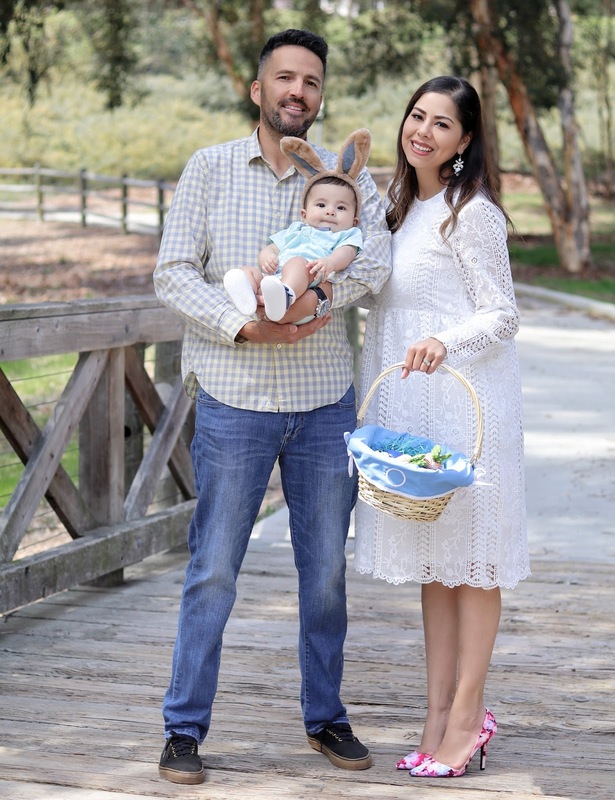 Every time we wanted to do it, baby would be off schedule either about to take his nap, or hangry, so on Easter morning we miraculously made it happen! We had a warm bottle on standby and as soon as we shot these pictures we fed him and he zonked out! If you follow me on Instagram, you probably saw on Instastories that we had our family over to our house. 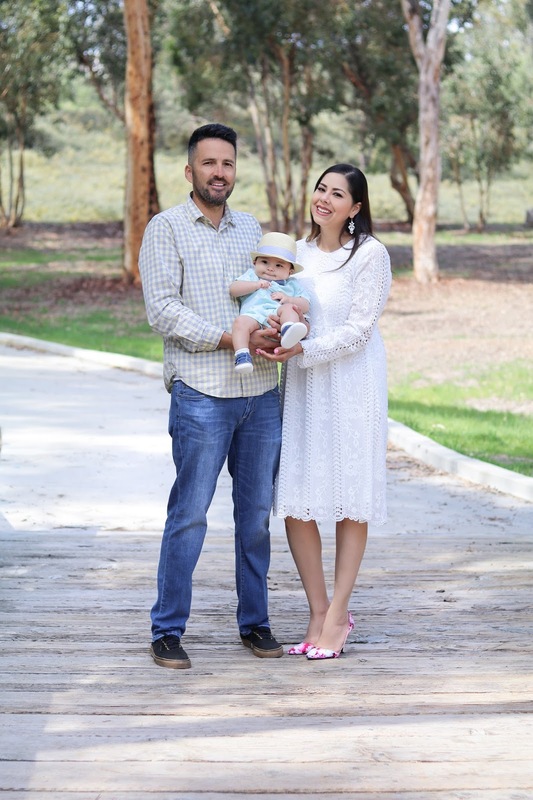 I put up Easter decorations and my husband fired up the grill, but before everyone got there I took a moment to appreciate my little family: our baby, my husband, our doggie, our home and just everything. I felt very blessed and grateful. I hope you had a wonderful Easter weekend! He probably won't be saying much about outfits until he gets to middle school. I remember being that way.